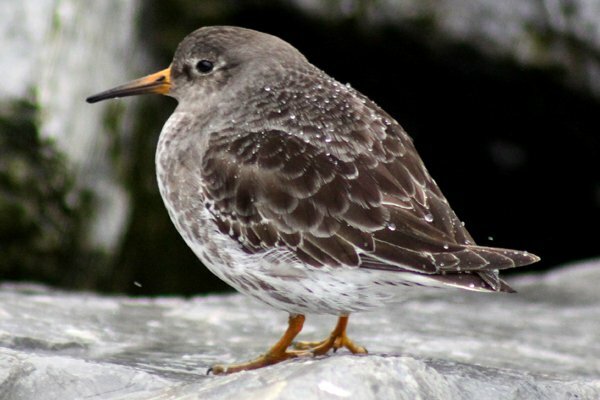 The waterfront of Brooklyn on either side of the Verrazano Bridge is the best place in New York City to see Purple Sandpipers. Every year they winter there on the rocky breakwater mere feet from the path between lower New York Harbor and the Belt Parkway that innumerable joggers, walkers, and bikers use. 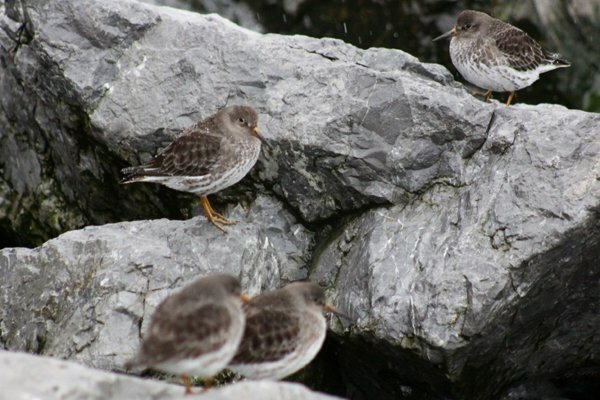 Of course, most of the folks on the path are completely oblivious to the hardy little birds making their living on the wave-washed rocks. 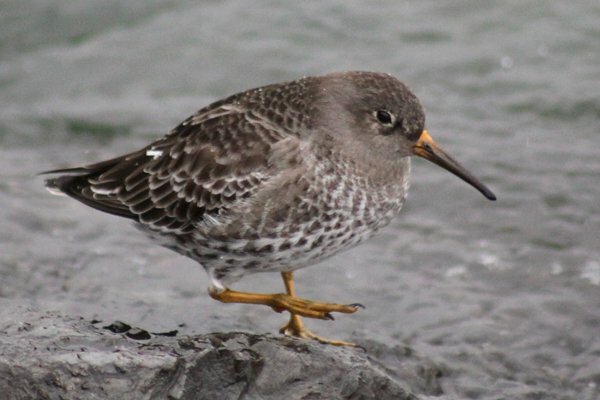 Should they pause to take a look they would see a chunky little shorebird with orange feet and legs and a droopy bill that is orange at the base and black everywhere else. 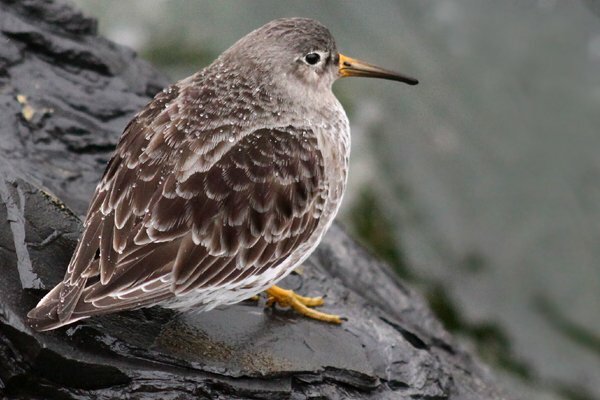 They don’t usually look very purple but they are pretty cute, at least in relation to other shorebirds. My recent visit to the Brooklyn waterfront was on the same day that I spotted the White-winged Dove in Staten Island and it was a drizzly, cloudy, lousy light kind of day. 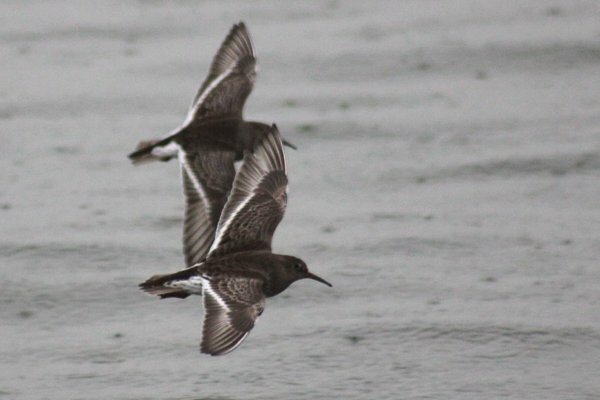 Despite the annoying weather the sheer proximity of the sandpipers allowed me to get some decent images. Enjoy! What awesome pictures! 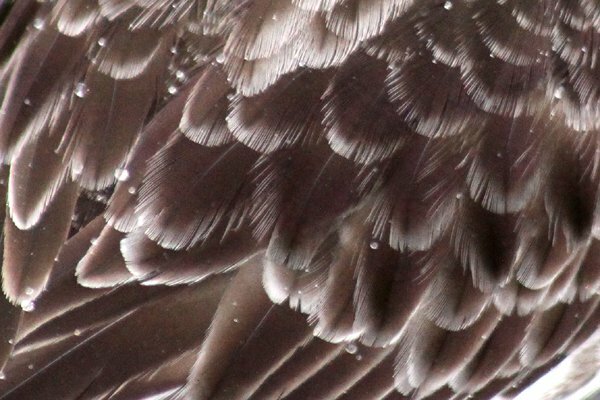 I love the close-up of the feathers. I am amazed how round like a ball these guys are. I have only seen them from far away. I may be in NY in a couple of weeks. Any chance they will still be there? I just saw the movie ‘The Big Year’ with Steve Martin and I am now getting into birding. It is such a spell binding activity. I haven’t seen Purples since 1992. Yes, that’s 20 years. They are one of my most wanted species this year, but I fear I will not manage to get to the right place at the right time this year, and will enter my third purpleless decade. So, “thanks” for sharing and “get lost” for rubbing it in. I really miss those little guys. The way they manage on such seemingly inhospitable rocks all winter is inspiring.